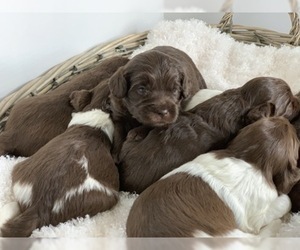 Beautiful Chocolate and White Puppies. Puppies will be raised in our home with the Puppy Culture Program. 2 year Health Guarantee. 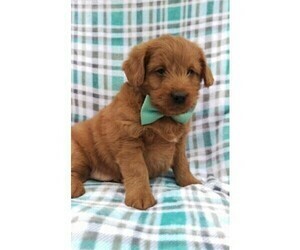 Overview: The Labradoodle is a mix between the Labrador Retriever and the Poodle. Both breeds are excellent for children and families. 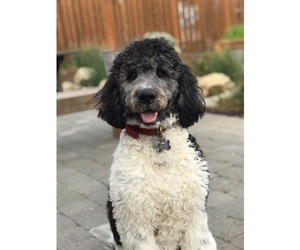 The Labradoodle became known in 1988, when Australian breeder Wally Conron crossed the Labrador Retriever and Standard Poodle at the Royal Guide Dogs Associations of Australia in Victoria. Conron's aim was to combine the low-shedding coat of the Poodle with the gentleness and trainability of the Labrador, and to provide a guide dog suitable for people with allergies to fur and dander. Sultan, a dog from this litter, displayed all the qualities Conron was seeking and worked as a guide dog for a woman in Hawaii for ten years. Although Guide Dogs Victoria no longer breed Labradoodles, they are bred by other guide and assistance dog organizations in Australia and other places. The Association for the Blind of Western Australia has introduced Labradoodles into their training program, and their first, Jonnie, graduated in November 2010. Labradoodles are now widely used around the world as guide, assistance, and therapy dogs as well as being popular family dogs. The Norwegian Royal Crown Prince and Princess own a Labradoodle. Coat: The coat is curly and thick. 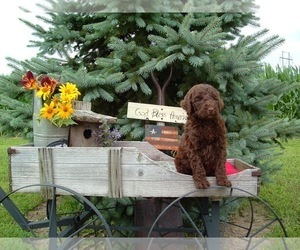 Character: Labradoodles are loving, affectionate and intelligent. Temperament: Labradoodles get along very well with children and other pets. Care: The coat needs to be combed daily. Bathe as needed. 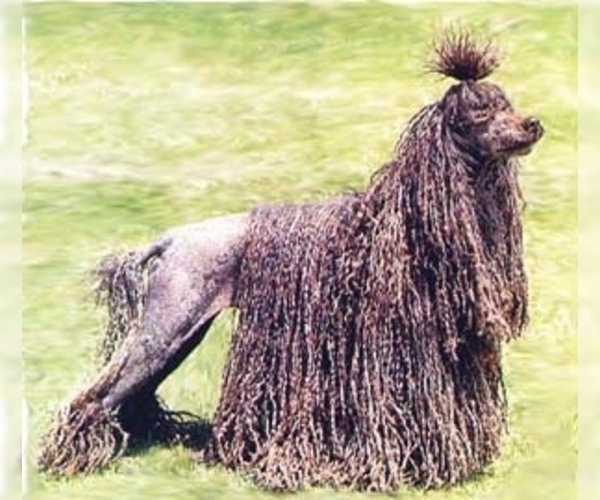 A trim may be needed a few times each year. Training: Labradoodles respond well to gentle training. Health Issue: Labradoodles can suffer from problems common to their parent breeds. Poodles and Labrador Retrievers can suffer from hip dysplasia, and should have specialist radiography to check for this problem before breeding. The parent breeds can also suffer from a number of eye disorders, and an examination by a qualified veterinary eye specialist should be performed on breeding dogs. 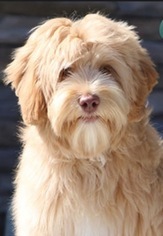 Labradoodles have been known to suffer from progressive retinal atrophy (PRA), an inherited disease causing blindness, which occurs in both Miniature Poodles and Cocker Spaniels. It is recommended that Australian Labradoodles be DNA tested for PRA before being bred. One study has found that UK Labradoodles have a higher incidence (4.6%) of multifocal retinal dysplasia (MRA) compared to Labrador Retrievers. 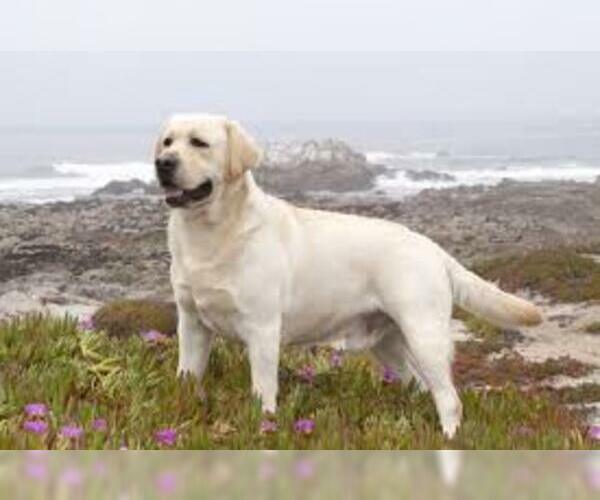 Cataract is common as well (3.7%) but prevalence is comparable to that of Labradors. There is evidence of some occurrence of Addison's disease in the Australian Labradoodle. The Australian Labradoodle Association of America is currently conducting a study to try to determine how widespread the problem has become.